Have you used these 2 Tools and Tactics on Facebook? Facebook, it’s the social network the world is on, or at least thats the way I phrased it in a lecture recently. The numbers on Facebook continues to grow as they compete against the likes of Google and Snapchat. How important is this network? I did a quick poll during said lecture and here were the results. What #SocialMedia channels do you use the most? When you consider Facebook owns Instagram as well this shows how big a presence it has in people’s online lives. Facebooks revenue continues to grow quarter on quarter and this is being powered by ads. It’s up there and might be surpassing Google Ads as the online ads format people use, hence the number of advertisers has hit 6 million. Why? Simple because it works. Have you utilised Facebook Messenger to its fullest? Are you using Facebook Stories? The stats behind Facebook Messenger are pretty impressive. It is up there as one of the top customer service tools out there. The fact that messenger now has its own website shows Facebook is really looking to harness this aspect of their network, as does the rise of AI and bots which can be really useful when done right. Instead of looking at it from a standpoint of bringing people in I decided to test a new approach and reach out instead. My experiment focused on the Sportshow I host on LCCR “What’s the Score?”. Here’s the approach I took. So play it smart and act like a human, trust me it’s worked for me and I’ve been able to get some great interviews over the last couple of weeks (watch this space). I also discussed this in a recent episode of #BeSocial so why not check it out (it’s only a few minutes so not so bad. Key Takeaway from this approach – Don’t do sell sell sell!!! When Facebook originally did a copy paste approach with Instagram (it’s working for Snapchat so it will work for us) people initially laughed at how blatant a rip off of Snapchat it was. They’re not laughing anymore as Instagram Stories daily use reaches 300 million. Facebook has done a similar tactic with Facebook Stories, however, so far it hasn’t been that successful. 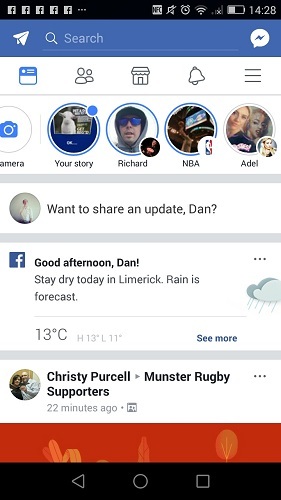 While some questioned whether this would happen hey presto Facebook recently announced this and not only that but it would appear on your newsfeed on desktop and phone (See below, of the 4 Stories on is a page the others are profiles). If Facebook is the most popular network and no one is utilising this feature then what’s your competition? This feature appears on the newsfeed of the most popular and most used network. Is there an opportunity there? If I’m being honest yes. My advice on this would be if your Facebook page is related to your business or brand then why not test out Facebook Stories vs Instagram Stories and see how they do. In the end, the only resource you use is time (and maybe data if you’re on mobile). But by all means, start testing it before pages start using it more. 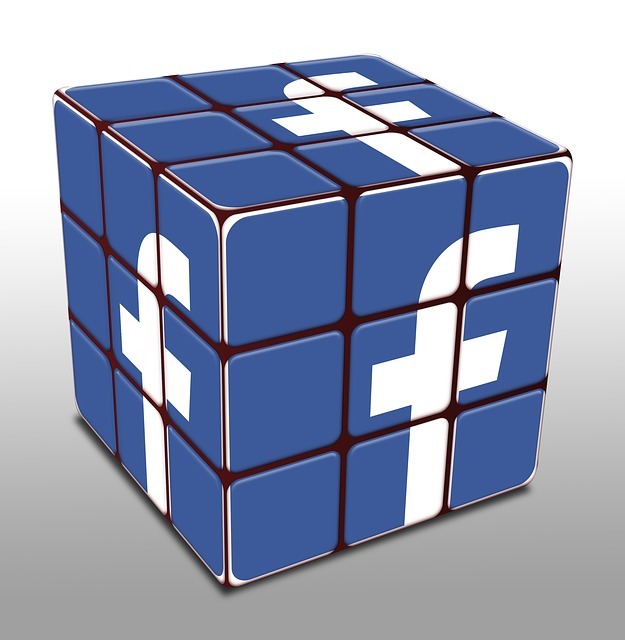 Have you tried these tactics out on Facebook? Facebook is where many people go to for news and just to while some time away. Its the biggest and most used platform as well. While ads on Facebook do work utilising Messenger for reaching out to pages and creating stories are two other but not often used tactics that can benefit you, your brand and your business.